Sixty-five horses and six dogs were removed from Patricia Lynn Moore’s property near Edmonton, Alberta on January 8, 2019. 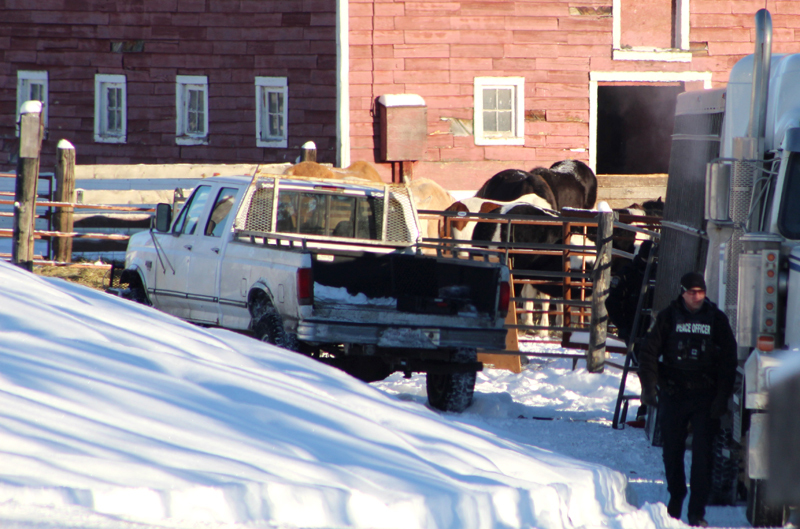 On January 8, 2019, a collaborative effort involving Evansburg RCMP, RCMP Livestock Investigations, Alberta SPCA, Brand Inspectors, Sangudo Veterinary Clinic, Parkland County and Lac St. Anne County resulted in the removal of a total of 65 horses and six dogs from a rural property in Alberta. Police launched their investigation after receiving reports of starving and injured horses on the acreage near Entwistle, located about 90 kilometres west of Edmonton. Patricia Lynn Moore, 48, was arrested in early January and charged with three counts of permitting and/or causing unnecessary pain, suffering or injury to animals, according to RCMP. These charges are in relation to the deaths of three of the horses on the property. A second person was charged in the case the following week. Ross Andrew Atkinson, 50, of Parkland County, was charged with three counts of permitting and/or causing unnecessary pain, suffering or injury to animals. As of January 22nd, Moore and Atkinson are facing over 60 Criminal Code charges in a continuing investigation by RCMP. They are scheduled to appear in Evansburg court on March 11, 2019. This is not the first time Moore has faced charges. ASPCA officials say she was charged under the Animal Protection Act after dozens of dogs, rabbits and some pigs and horses were seized from her farm in December of 2009. She faced several charges in connection with a dog breeding operation near Edson and, in 2012, was found guilty of animal neglect. Then, in 2010, three horses were found dead and another 16 were seized by the ASPCA from a property near Carrot Creek. Moore was charged under the Animal Protection Act and was convicted of allowing an animal to be in distress as well as failing to provide adequate food and water. She was fined $1,500 and was prohibited from owning more than two horses for five years. For those following the Ontario case involving three members of the Small family arrested in May of 2018, at press time a new court date of February 5th was set, at which time, either a trial date will be scheduled or a resolution will be filed. This means that there may be an agreement between the Crown and Defence lawyers where conviction and/or sentencing will be decided without a trial. The Crown has stated that they are seeking jail time for the offenders.